Sustainability is key to the MITY DNA. We think of this word not only in the sense of the raw materials we’re using and how we’re sourcing them, but also as a model for creating products that are built as durable as possible. Truly sustainable products are those that not only minimize environmental impact, but also perform their function for an extended period. At MITY, our goal is to make it easy for you to find the perfect furniture for each space in your facility. And since chairs are such an important piece, we thought we’d give you a little help in how to narrow down which of our chairs will fit your needs and the needs of your customers—in just six steps. Our new e-commerce website is packed full of handy features that make choosing and ordering your favorite products easier than ever. Once your business account is set up, you’ll have the ability to get pricing, see your order history, and even create a wish-list. Event planners know that the design and set up of a room can have a profound impact. Therefore, rooms should be arranged and altered as needed to accommodate different types of events. If people are comfortable, they will have more fun, stay longer, and recommend your venue for future events. Here are some tips on how to set up a room for two of the most common events — banquets and panel discussions. Manufacturer’s reputation for building structurally sound furniture is showcased through the combination of lightweight durability and comfort. *If you do not see your signature generated above, hold Ctrl then press the refresh button to reset your browser cache. 1) Click to Copy button above and open Outlook. 2) On the File menu, select Options. 3) Under Mail, select Signatures. 3) Select New, then type a name for your signature. 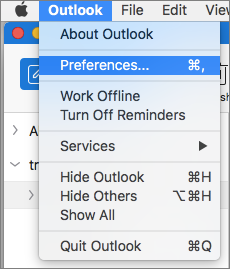 3) Paste your signature in the editor with Keep Source Formatting, then select OK.
2) On the Outlook menu, select Preferences. 3) Under Email, select Signatures. 4) Select to add a new signature. 5) In the signature editor, paste the Signature you copied.